If there was a man who summed up the perfect mix of grit and charm it was definitely Creedence Clearwater Revival’s John Fogerty. 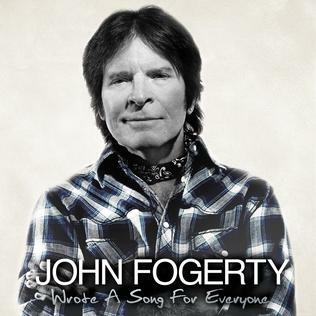 Fogerty’s voice and lyrics summed up a whole generation;s feelings, and have resonated throughout the ages, and now at age of 68 Fogerty has released a collection of some of his most known tunes re-recorded with some of today’s biggest artists spanning many genres and sub-genres. Some guests include: Foo Fighters, Jennifer Hudson, and Kid Rock. The album was released on May 28, 2013 Fogerty’s 68th birthday, and is a fitting celebration of Fogerty’s back catalogue. The first track of Wrote a Song for Everyone is a re-recording of CCR’s most famous song and politically driven song, “Fortunate Son” and it features a great collaboration with Dave Grohl and the rest of the Foo Fighters. It’s great to hear a more modern recording of this song, but the lyrics are still accurate as the day they were written. Keith Urban provides a great performance on the next track, “Almost Saturday Night” which is a more obscure song, but was perfect for both Urban and Fogerty, as their voices synced in a very cohesive manner. “Lodi” is the third track on the record, and this is where Fogerty’s two sons, Shane and Tyler, come into the picture, and they provide great performances. One of the album’s two new songs was up next, and I found this song, “Mystic Highway” to be a great track, not only is it classic Fogerty, but it also feels very modern, and sing songish. It may be campy, but it works. Zac Brown Band makes an appearance on the album’s rendition of “Bad Moon Rising.” The band’s music works perfectly when it comes to the track, as it’s a little bit country and a little bit rock and roll. Musically ZBB holds up their end well, while Fogerty does his thing perfectly on guitar and vocals. Arrangement wise the song is excellent, and exceedingly fresh. “Born on The Bayou” featuring Kid Rock was the next track that I fell in love with. Kid Rock’s voice works so well in the country rock genre, and also compliments Fogerty’s voice with stylistic ease. Wrote A Song For Everyone is a hybrid greatest hits and tribute album that works great. Fogerty picked artists that complimented his talents, and added a new twist to the record. The dude Abides. About a year ago Musically Diversified did an artist profile on singer/songwriter Johnzo West. Since then West has been very working on his own solo album and performing live with Billy Ray Cyrus. We recently got the opportunity to take a listen to West’s latest album, and we were blown away with the ten tracks he presents on Glory, which was released in February. 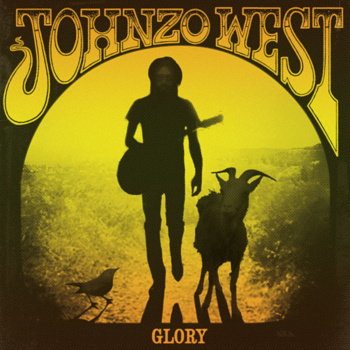 Glory is a great collection of songs that show West’s skills on guitar and vocals. The album starts off with a song entitled “Don’t Leave Me Hangin’” which is a track that starts off nicely with some great guitar work, but is definitely carried by a great vocal performance by West. The song really takes off during the chorus sections and is especially good during the wah drenched guitar solo. The next song is called “The Shallows” which is a track that has been re-worked from West’s 2008 release Bring On The Burden. It’s a great song that features a soulful performance from West on vocals. “Heart of Stone” is another great track on the record. The lyrics tell a great story and the accompaniment suites the lyrics perfectly. “Tell Your Mother” is the next track and this song has a very country feel, especially the drums which keep a steady beat that keeps the country time while the guitars slide in and out. West’s vocal fit perfectly over this track. “The Constant” is the next track on the album, and it has a great funky feel from the beginning. The bass, guitars, and drums instantly catch your attention, and you get to the chorus and West’s vocals take over. “On My Way” is a great track that is an old school rocker and features great guitar work throughout. Lyrically it tells a great story too. “The Good Fight” is probably my favorite track from West. Lyrically and musically it just works, and makes a very enjoyable listening experience for anyone involved. Arrangement wise the piano and guitar work excellently. The date September 25th couldn’t have come soon enough for fans of the English folk-rock band, Mumford and Sons. But now the day has past, and it has left behind the band’s new album, Babel. After a performance of “I Willl Wait” and “Below My Feet” on the September 22nd episode of Saturday Night Live, Babel quickly became the most talked about of the releases this week. The album which consists of twelve tracks truthfully lives up to the hype that has been generated behind it. The album opens up with the title track; “Babel” this song is a very upbeat banjo and guitar driven song with great dynamics in tempo. The Next track is entitled “Whispers in The Dark” this track to me was very well composed, and takes a very simple arrangement and makes it work. The third track on the album is the single, “I Will Wait.” The guitars and banjo seem to mix together really well on this track. They only tweak I think could make the song better is if they moved the piano up in the mix more, it would have given the song a lot more movement. Vocally the song is very impressive, and contains many soaring vocals, but also many smooth parts. “Holland Road” is the fourth track on the album, and to be truthful I think this is one of the best songs Mumford & Sons have written. The lyrics and the music throughout the song bring the listener on a journey that leads to a horn interlude that is placed perfectly in the song. This gets echoed nicely by the vocals. 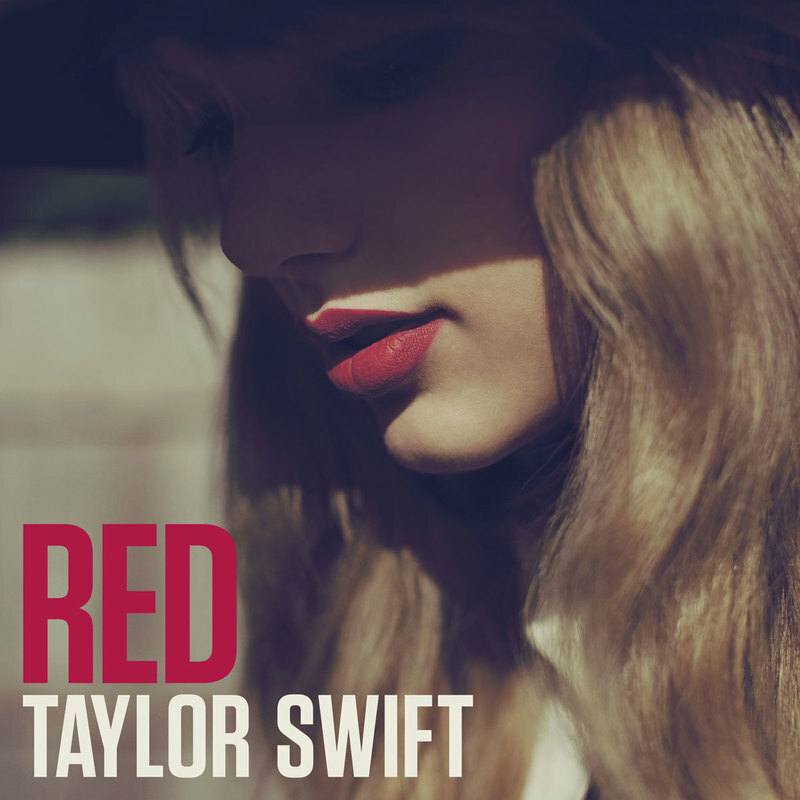 “Ghosts That We Knew” is up next, and this song is very calm and less country sounding than the majority of the album. It starts with just vocals and guitar. Eventually the piano comes in with a section of harmonized vocals. This is followed by the introduction of a tenderly plucked banjo that gives nice movement to the track. The musical arrangement of the song really helps to emphasize the lyrics and melodic structure of the song. “Lover of Light” is next up on the album, but I wasn’t really impressed by the song as I felt it was to reminiscent of the band’s debut release. However I did enjoy the simplistic banjo solo. The next track to take note of is the eighth track, “Reminder” which is a very melancholy number which is very simple with just vocals accompanied by guitar. The song is short but sweet, but this makes it a nice change of pace. The next song is entitled “Hopeless Wanderer.” Lyrically this track is one of my favorites, but it is the clear emphasis on the piano that makes me really enjoy the track. It feels throughout the track as if the banjo and guitar were only there to emphasize the piano. This changes around the 3:30 mark when the banjo takes over the track. “Broken Crown” follows, and to me has one of the nicest finger picked acoustic intros. The vocals come in next. Soon this builds and the piano and banjo join the mix, but they are not so far up in the mix that it brings down the very subdued feel of the song. This changes around the halfway when the music builds into a great section. Again this track plays with the band’s awesome ability to get soft and then loud again. 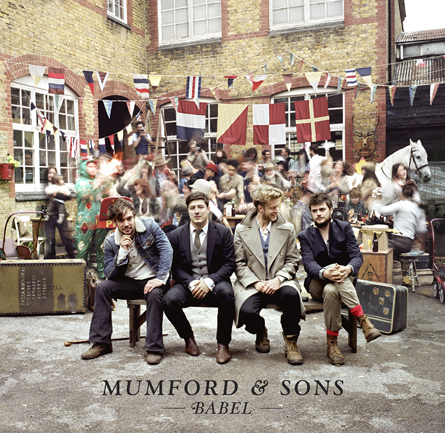 The second to last song on the album is the track, “Below My Feet.” This song is a very haunting, and plays with the traditional Mumford and Sons formula. The vocal harmonies on the track though are fantastic and add a depth to track, as does the random Pete Townsend-esque electric guitar. “Not With Haste” closes the album, and I have to say that it did not disappoint in terms of closing the album, as it was a nice reflective piece of music that really pulls the album together. Although very similar to their debut release, Mumford & Sons have put together an album that I’m sure will keep them out of the sophomore slump. This is a fantastic album, and a candidate for the best album of the year. Many people can call themselves Multi-instrumentalists, some of the notable multi-instrumentalists are Prince, Stevie Wonder, and the great Madman Frank Zappa. 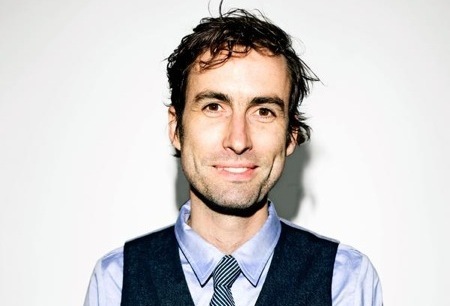 But none are more unique in this generation than, Andrew Bird. Bird’s technique on violin and guitar are truly his own, and add a certain flare mostly seen in bluegrass and country music. Did we also mention Bird is an excellent whistler, yes that kind of whistler. Bird who got his start in Chicago, found himself a career that has lasted sixteen plus years. His career has included work with his band Bowl of Fire, a vast Catalogue of solo work, and numerous appearances as a session musician. 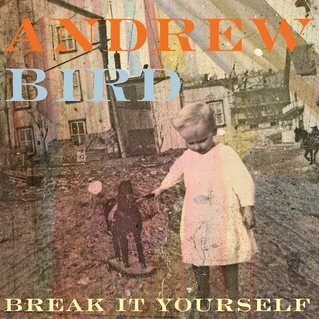 Last week Bird released his seventh studio album entitled ‘Break it Yourself’ (Mom+Pop). ‘Break it Yourself’ is a tremendous effort featuring fourteen truly unique tracks. The album starts with the track ‘Desperation Breeds…’ which has a very odd intro, that consists of atmospheric noises and a violin that is being plucked. Around the two minute mark of the track, we see a really interesting musical break, which includes a syncopated beat and tremendous guitar, violin, bass, and drum work. The bass in the song is truly driving and moves throughout. One of my favorite parts of the track is the violin solo which features a great deal of trills, which add an aspect of suspense. This aspect of suspense is only increased when what sounds like a Theremin is added into the mix. The next track to take note of is entitled ‘Danse Caribe’ which literally translates to: ‘Caribbean Dance’. The song itself follows a traditional folk sound till about the 2:06 mark when Bird’s violin imitates the sound of the traditional Caribbean steel Pan or Drum. We also get the first taste of Bird’s whistling talent in this song. The next track to take note of is the seventh track ‘Near Death Experience Experience’. The track starts out with the plucked violin, which sounds doubled by either an electric violin or guitar. The rest of the instruments eventually kick in and Bird’s vocals take an interesting turn around the 2:15 mark, when they are harmonized with a very sweet sounding female voice. The album is finished off by the three minute piece ‘Belles’. The song is very atmospheric and draws the listener in with a soft ambient background, while bells are played over top. Overall I love this album because of its uniqueness. It truly is a must listen! Eventually, I think you’ll see more of Bird, but for now he’s one of music’s best kept secrets. 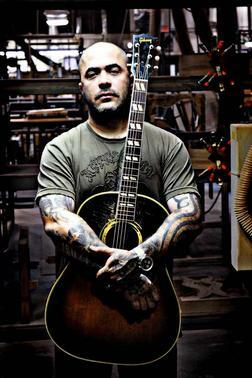 Aaron Lewis lead singer from the Massachusetts rock band Staind has recently put out an EP via R and J Records. 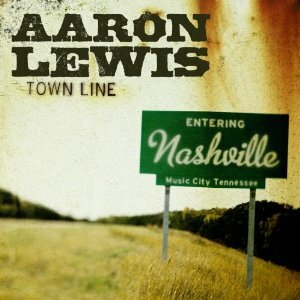 The EP is entitled ‘Town Line’ and features five tracks that are excellent. The EP is something different from Lewis’ band Staind, because all of these songs are pure country. It’s interesting to me that I’ve always thought Lewis’ voice would sound excellent on a track with Hank Williams or David Allan Coe. The EP itself features guess spots from country legends Charlie Daniels and George Jones. Let’s get down to the nitty gritty of the tracks. 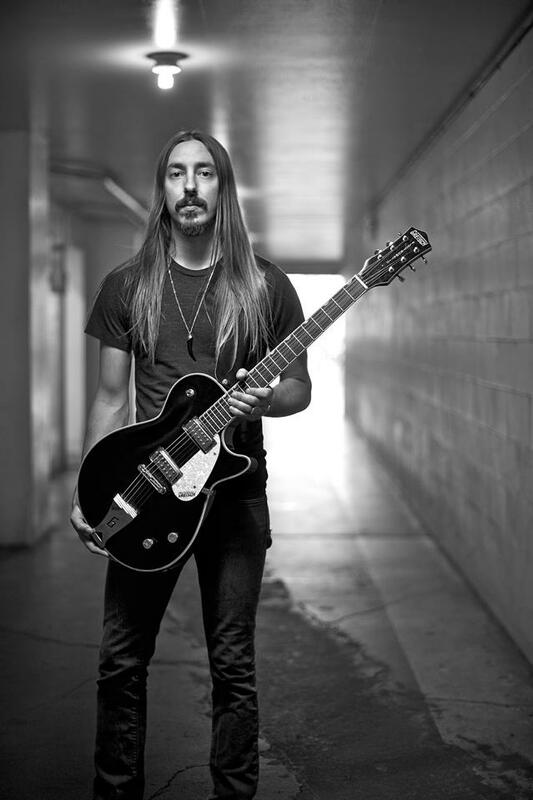 The EP starts off with the track ‘The Story Never Ends’ which starts out with a rocking riff that goes into a softer section that is highlighted with slide guitar. The lyrics on the track are a true roller coaster about family, friends, patriotism, and life on the road this to me opens the album perfectly. The next track off the EP is entitled ‘Vicious Circles’ which is a beautiful country ballad that never falls into the cliché of many ballads. Next up is the single entitled ‘Country Boy’ which features Charlie Daniels and George Jones, this is the strongest track on the collection, and is my personal favorite. This like the opening track is a very personal track which talks about Lewis’ family history, his history in Staind, his home and his country. The track is accented very well with a wah-wah drenched guitar solo put back in the mix. Love songs are hard to write because you have to draw the line from being mushy to being to vague. To me Lewis’ walks this line perfectly with the track ‘Tangled up in You’ which is a haunting love song that has been reworked from its previous incarnation on Staind’s 2008 album ‘The Illusion of Progress’ (Atlantic). The final track on the EP is an ode to Lewis’ and my own state, ‘Massachusetts’ a beautiful track about coming home and knowing where you’re from. I’d say that whether you’re a Rock, Metal, or Country music fan, this is a collection of tracks you should definitely look into acquiring or at least listen to.